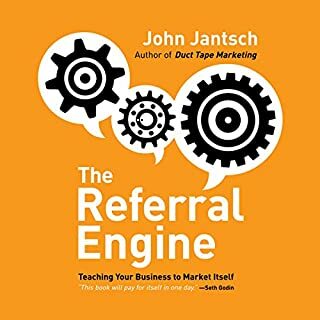 In this book you will learn where to get vacation and restaurant vouchers for pennies on the dollar, how to go from zero to 3000 website visitors literally overnight, and more. Too many small and mid-sized businesses offer gold-medal quality and service yet struggle to pay their bills and stay in business. Their only missing component is guerrilla marketing, a method that puts energy where the dreams are. 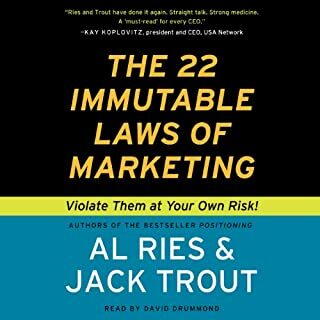 The 100 targeted weapons detailed in this audiobook add potency to a marketing attack and substantially increase profits. Most important, they work for all types of small and medium businesses, and even for nonprofit organizations. All the weapons are inexpensive to implement, and fully half of them are absolutely cost-free - a bonanza that liberates cash flow. Included are 14 powerhouse weapons that help start-up businesses and five substantial lifts to an already running operation. This indispensable nuts-and-bolts guide outlines every weapon you need to make a significant bottom-line difference for your company. ©1990 Jay Conrad Levinson (P)1996 Blackstone Audio Inc. I have one lonely complaint about this audiobook, that being the narration. The usually great narrator Barrett Whitener, uses horribly stiff pronunciation on almost every word. One example is the word "marketing", as the Mr. Whitener insists on pronouncing it as "mark-kit-TING" unnecessarily. I am far from picky about audiobook narrators, but in this case I believe it takes away from the otherwise valuable content. Do yourself a favor and listen to the sample before purchasing this item. You may choose to buy the book in place of this audio version. 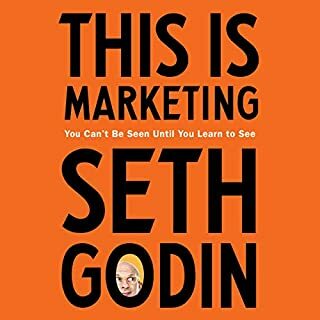 This book presents marketing not as TRICKS but as a way to communicate WHO your company is to other people. I am new to Marketing, so the idea of having an identity in your marketing was new to me. But I really like that Jay is a moral person and is interested in making the marketing image and the reality of the product or identity of your company be the same. So, he gives a picture of what you need to do if you are going to be a REAL company that is going to stick around for a while, present a quality product and communicate your company identity to other people. So, the techniques here are more on how to build an established business, rather than just to market to people temporarily or instantly make a profit. Jay emphasizes how to build a brand or a company identity and goodwill from your customers. If it was the very first book I'd ever listened to, it probably would have been better. It's written before the Internet era and while some techniques are still used today, this book has no substance for the social media needs or tech savvy generation. The book isn't bad, it's just a bit dry and long. Thank goodness it's an audible. I didn't realize it until after I started listening... This book is over 10 years old. Most of the points are probably still true, but I was looking for something a little more modern... They talk about "new" marketing techniques that have already been around for over 10 years... It's kind of a joke. I recommend for any entrepreneur wanting to be ahead of the curve in and with their business. Have Great Steps to doing in your Dollar marketing to enhance the Profile, after that Listen to Gurilla marketing new Edition to bd update your target market with powerful toll. buy the new Gurilla market ots better for you. I didn't catch a 1990 published yr. Very Outdated. Would not recommend. The narrator sounds mechanical and the information is so dated. Wish I looked at the publishing date before purchasing. They talk about videotapes and matchbooks! 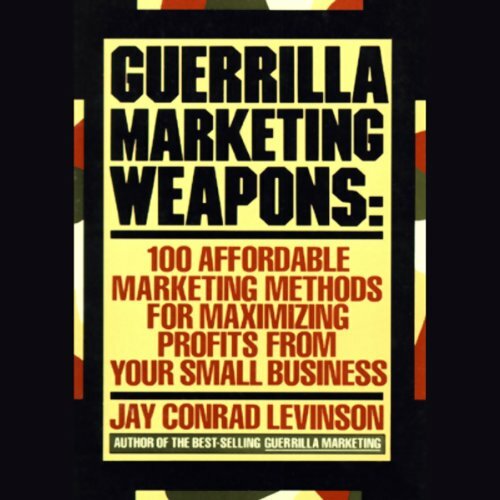 Having read Guerilla Marketing by the same author I was very interested in his weapons listed in the book. Is separate book focuses on them, gives percentages and really drives home their importance. Having used many of them in my own company I can say that despite the very American feel to the description of the weapons, they work in all societies! Would you try another book written by Jay Conrad Levinson or narrated by Barrett Whitener? 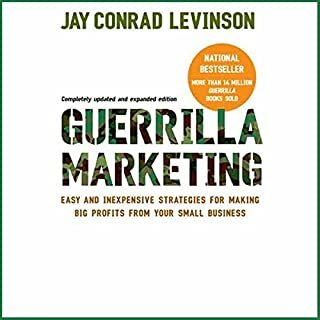 I might try another book ..
Would you recommend Guerilla Marketing Weapons to your friends? Why or why not? For some on who don't know anything about marketing. 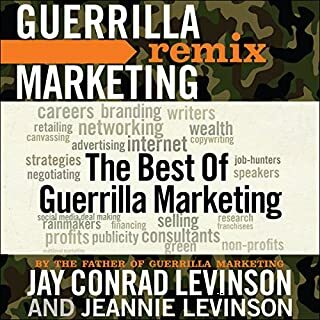 This book is way out of date, full of grey word filling paragraphs about nothing or repeating itself over an over again (if I hear the word Guerrilla one more time..) also it is read by a very annoying voice that over enunciates words like Marketing. There are ideas in this book and some people may get something out of it but it will drive you mad in the process. If you have a business already you really should know all these so call Weapons. 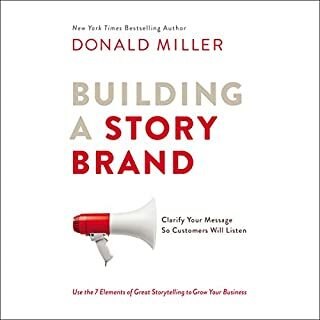 This had to be the worst book I have listened to or read on the subject of business and marketing. I really struggled to get through it in its entirety.